Meanwhile another report from HomeLet suggests that nine in ten landlords do not intend to raise rents on their existing tenancies during the first six months of 2016. 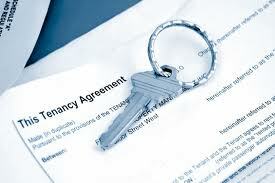 Rents on new tenancies remained flat or fell slightly in ten out of twelve UK regions over the three months to November 2015 compared to the three months to October, according to the HomeLet data. Across the country as a whole (excluding London), the average rent on a tenancy signed during the three months to November was £743 a month, 0.7% down on the previous three-month period. In Greater London, the average rent was £1,544, down 1%. The index shows that just two regions saw rents on new tenancies rise over the three months to November. In Yorkshire and Humberside, rents on new tenancies were 0.8% higher than in the previous three months, averaging £626 a month; in the East Midlands, rents were 1.2% up at £635 a month. HomeLet research into landlords’ views about the rental market and their expectations for the year ahead revealed that 91% of landlords do not plan to increase the amount of rent they charge on their properties in the next six months. Even looking further ahead, only 34% of landlords plan to increase rents over the next 12 months.